Carpenter, construction worker, craftsman, educator, writer/producer, TV personality – Tommy MacDonald has worn all these hats with skill and attitude and boisterous success. A neighborhood kid, eighth of nine, from the rough and tumble Dorchester section of Boston, Tommy was always fixing or building something. From an early fascination with tools to a voc-tech high school 4-year union carpentry apprenticeship program to 15 years as a journeyman carpenter, Tommy never strayed too far from his tool box. Working construction on Boston’s famed ‘Big Dig’ Central Artery/Tunnel Project, a serious on the job injury closed one door for Tommy while his irrepressible spirit led him to open a new one. Tommy’s career path took a critical turn when he was accepted at the North Bennet Street School, an internationally renowned craft and trade school. There he honed and refined his native woodworking skills while learning the art of fine furniture making. His curious nature and innate attention to detail led him to carefully research the technical intricacies and fascinating provenances of the historical pieces that inspired his works. It also led to a chance meeting with Bob Vila who appreciated both Tommy’s exceptional craftsmanship and his charismatic presence and featured Tommy and his work on national TV in his Colonial Home project. The experience was an eye opener. While continuing to expand his fine furniture collection – experimenting with new designs and materials – he became increasingly aware of the opportunity to reach out and share his knowledge and expertise with a wider audience: online, in books, and ultimately on TV. A series of podcasts chronicling in depth the construction of a bombe’ secretary brought Tommy’s mentoring skills to the forefront while capturing his “one of the guys” persona to a “t”. When not on TV you’ll find Tommy developing and perfecting woodworking tools with Pony Tools, Inc. and educating children across North America as the Celebrity Spokesperson of the Hardwood Forest Foundation. 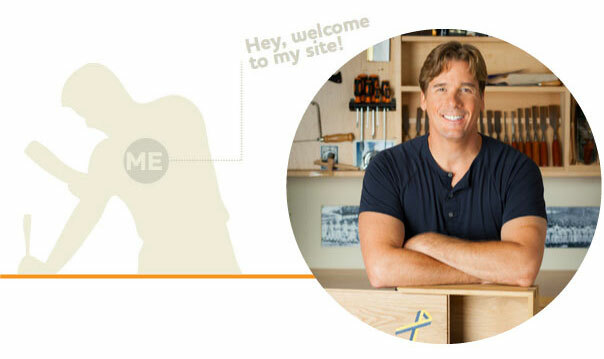 From his platform as an established leader in the woodworking world, Tommy is ready to extend his reach into the broader sphere of home improvement. Years of hands-on carpentry and construction experience, the confidence to call on the experts in the technical trades and a mentoring style that is both instructive and inclusive positions him well for the new challenges ahead. Look to his new website for a wider range of how-to information in a variety of formats — all with the Tommy Mac, made in America, trusted seal of approval. Tommy will always be one of the guys, but as he adds the DIY home improvement community to the legions of woodworkers who look to him for how-to advice, the kid from Dorchester with big ideas may yet prove to be one in a million.